This brings a whole new meaning to Drive by Wire. 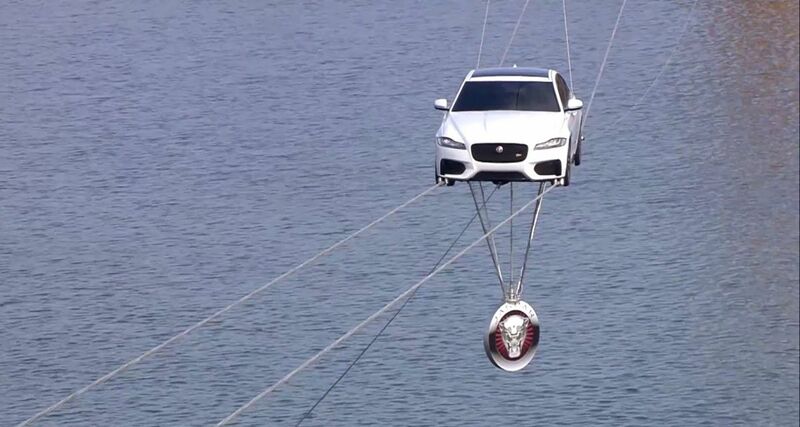 The new Jaguar XF crosses the Thames on wires. I'd rather have seen it driving on a road, perhaps using the bridge to be honest. Looks like a smart car. Designers did a better job than the PR department.